Reverend Walter L. Ratcliffe is the Senior Pastor of Good Shepherd Baptist Church and received Jesus Christ as Lord and Savior in 1988. As a member of Greater Love Baptist Church he was installed in the role of a deacon, and in 1992 accepted his calling to preach the Gospel of Jesus Christ. He was licensed to preach the Gospel in 1992 and ordained in 1994. Click here to read about our Pastor’s Heart. 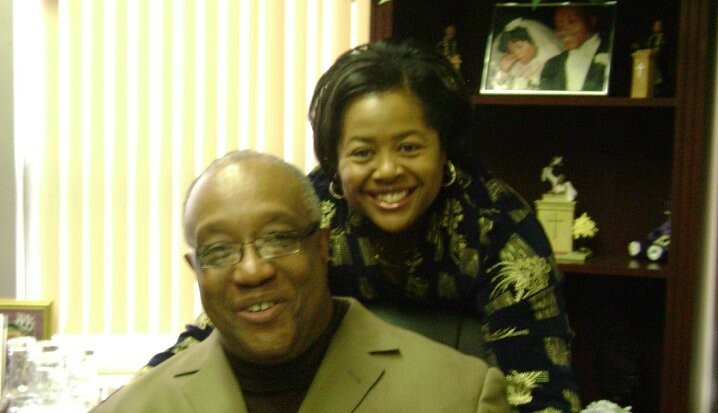 In 1996, he and his family became members of the Good Shepherd Baptist Church under the leadership of Dr. Eddie L. Hawkins, founder and pastor. He has served in several capacities at Good Shepherd Baptist Church including the Director of Youth Ministry. Reverend Ratcliffe is a graduate of Kent State University with a Bachelor of Arts in Sociology. He has attended Temple Bible College at Emmanuel Baptist Church in Cleveland Ohio, Cleveland School of the Bible at Good Shepherd Baptist Church, and Logos Bible Institute at the House of the Lord Church in Akron, Ohio. Reverend Ratcliffe is married to Sis. April Ratcliffe, his college sweetheart, and they have three adult children; daughters Cheryl and Christian, and son Ray. In January of 2004, Reverend Ratcliffe was installed as the Assistant Pastor at Good Shepherd Baptist Church, and on July 20, 2008 Pastor Ratcliffe was installed as the Senior Pastor of Good Shepherd Baptist Church. Pastor Ratcliffe’s email is: waltrat3@yahoo.com. Pastor Ratcliffe professes that God has smiled on me!